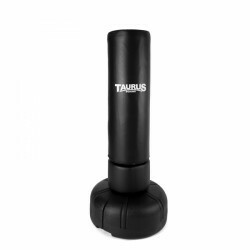 Thanks to its patented reflex system, the Taurus Free standing punching bag Boxing Trainer reacts similar to a human opponent offering a workout close to reality. 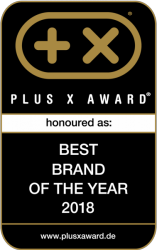 Experience a training close to reality and benefit from the patented reflex system - with the Taurus First Boxing Trainer. The ideal partner for children, young, and those starting boxing. The Taurus Boxsack 180 is made of special synthetic material and excellent quality at an affordable price. The Training partner Century Bob XL-Complete-Set is a realistic sparring partner of variable size for a challenging boxing workout. 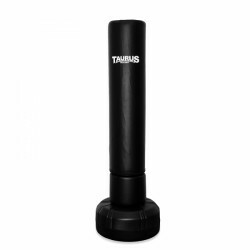 The Taurus Free standing punching bag Heavy has a patented reflex sysetm which allows a realistic workout. 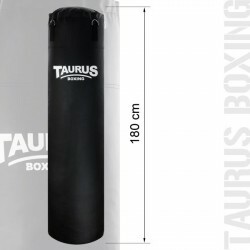 Thanks to its training features and workmanship, the free standing punching bag of Taurus is also ideal for professional home use or commercial use. You exercise under very realistic conditions with the Taurus Man Pro Luxury ! 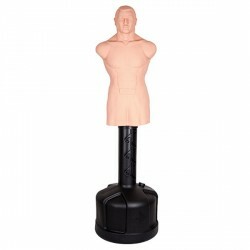 This freestanding punching bag of Taurus imitates a human torso and reacts like a real opponent thanks to its patented reflex system. The Paffen Sport punch bag Allround 100cm is suitable for special punch and kick training. Its synthetic leather surface is very resistant. Delivery includes: a four times chain suspension and a swivel. The flexible, inflatable Everlast Freestanding Punching Bag's base can be filled with water which causes the bag to go back to its original position after each punch. Wavemaster's Kid Kick standing punching bag is height-adjustable. Due to its size it is ideal for children and yourg people. The combination of hexcellent outer material, good textile or foam filling, and a top workmanship provides a long lifespan, durable shape, and high quality. The material plays an important role for choosing a punching bag. 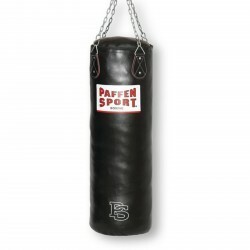 Together with a good filling of foam or textile rests, high-quality outer materials (i.e., bizonyl or genuine leather) Echtleder) offer an optimal punch absorption, so that the punching bag always keeps the shape even for most intensive kicks and punches. This quality feature also stands for an extension of the lifespan. The bigger the punching surface of a punching bag, the more variable is the use for the training. 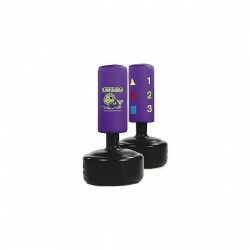 Bigger and heavier punching bags are not only used for exercising punching techniques, but for training of kicks. Whether a punching bag is good or not also mainly depends upon the quality of workmanship. A punching bag of high-quality workmanship is characterized by nealty processed seams, making the punching bag more sturdy and more durable. Furthermore, punching bags of highest workmanship quality are equipped with integrated casings, improving the punch absorption and durability as well. Сделана очень качественно. Основание для лучшей устойчивости следует все-таки заполнять песком. Bob became my new bestfriend! The quality of craftmanship is truly as good as they advertise. Bob is well-suited for both precision and intensive training. Whether you are pro or amateur. He is almost scary and you'll enjoy kicking and punching the crap out of his smug/agressive looking face. He knows how to take a punch. He knows how to take thousands of them. I would strongly recommend you use gloves, as Bob's surface and feel is quite "rough". Just enough to mimic the resistance of human flesh (not the taste though), albeit of someone with 0% body-fat ! I recommend this product. If you can afford it, or are hesitant because it seems a bit above your budget, I still recommend you buy this model, as it's one of the best (maybe The best) of its kind. You will not be disspointed; I use mine at home. I've filled it with water for starters. I(ve also bought some tatami to protect my floor from abvrasion, and my neighbours from the noise made by the impact of my strikes. Good day to you all! The punch bag is the most popular training equipment for fitness and competition boxers. Because of its size and girth, the punch bag replaces ideally the human opponent. According to size and weight of the punch bag, punch varities as well as kick combinations of all martial arts like, i.e., kick boxing, karate, etc. can be exercised on the punch bag. Shoes should not be worn to protect the punch bag. The outer material of a punch bag can be made of synthetic or genuine leather, bizonyl (special synthetics), canvas, nylon or linen. The high-quality punch bags are mostly made of bizonyl or real leather. In combination with a filling of foams of fabric remnants, both materials offer an optimal punch absorption, so that the shape of the punch bag is always maintained even for most intensive punches and kicks. This quality feature involves a prolongation of lifespan as well. Besides alreafy filled punch bags, we also offer unfilled punch bags in our range of products. These can be equipped with filling material as you like at home. Though, filling with sand should be renounced. On the one hand, the dead weight of the punch bag becomes very high for filling with sand, so that the punch bag cannot keep its original shape and becomes a drop shape sooner or later. On the other hand, sand absorbs humidity. Besides an additional increase in weight, the density of sand increases distinctively due to humidity and the filling becomes extremely hard; the punch bag equals a stone wall then. In case, suspending a common punch bag is not possible, portable punch bags can be alternatively chosen. Some portable punch bags even imitate the human shape of a torso for an extremely realistic boxing sensation.